Opis: It is a hurricane twice the size of the Earth. It has been raging at least as long as telescopes could see it, and shows no signs of slowing. It is Jupiter's Great Red Spot, the largest swirling storm system in the Solar System. Like most astronomical phenomena, the Great Red Spot was neither predicted nor immediately understood after its discovery. 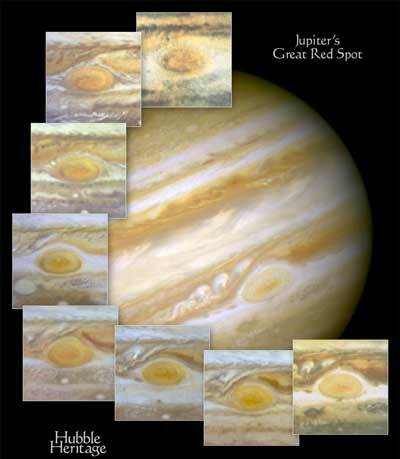 Still today, details of how and why the Great Red Spot changes its shape, size, and color remain mysterious. A better understanding of the weather on Jupiter may help contribute to the better understanding of weather here on Earth. 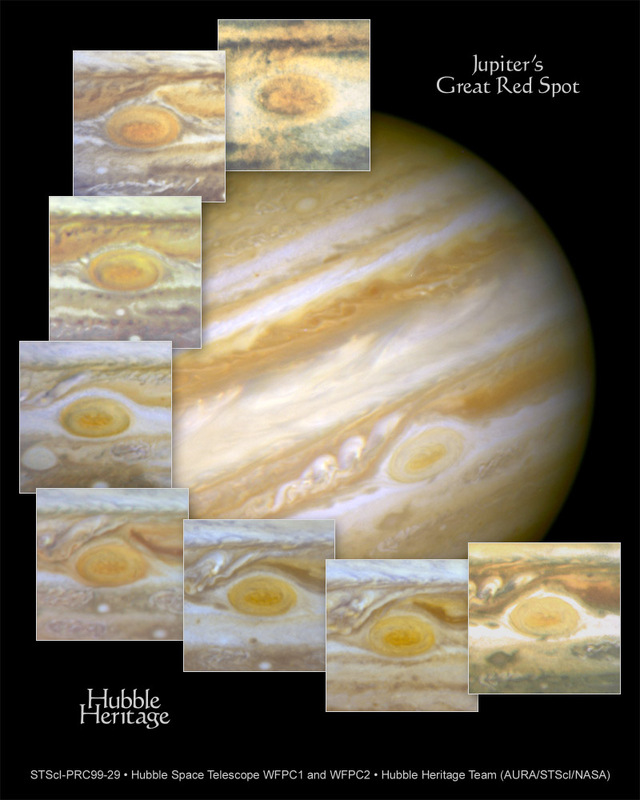 In the pictures on the left, the Hubble Space Telescope has captured Jupiter's Great Red Spot in various states over the past several years.